The Fat Quarter Shop is excited to welcome Lydia Quigley to the Jolly Jabber. 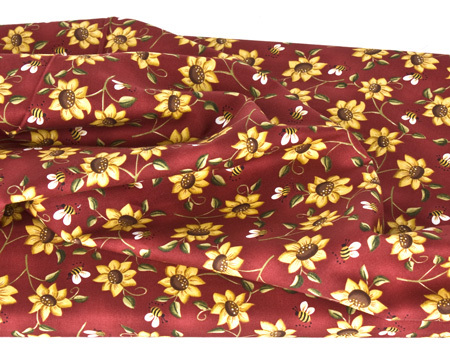 Lydia’s latest fabric collection is My Country Garden from Clothworks Fabrics. Q: What was the first seed that grew into the My Country Garden collection? A: My Country Garden was all about the yellow flowers in my garden last summer. I love those yellow flowers & so did the bees! Since I live in the country & I love to garden, the name for the collection was obvious. A: Y0847-52 - It has RED in it, my favorite color and it has flowers on it and who doesn't like flowers. Flowers & Bees go together and what would we do without the bees. Bees have had a hard time in the past few years, so when I hear the buzz of bees, I'm happy that they are coming back. A: I haven't quite decided what my project with this collection will be. Applique or Piecing or both?? Haagen Dazs ice cream - yum! I was born in Holland and came to Canada at age 5. I grew up in southern Ontario (Canada). 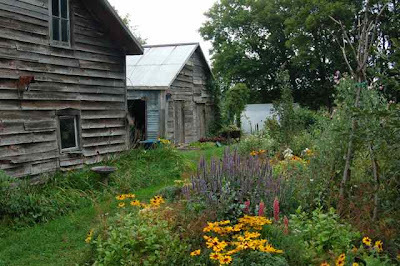 Home is the farm where I live just outside of Kingston, Ontario. waiting in line in the grocery store!